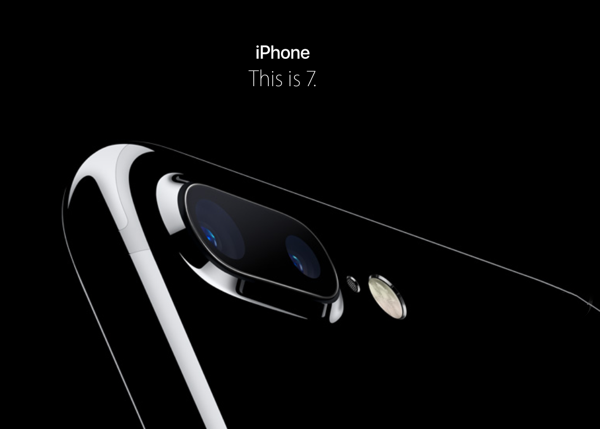 Planning to get the glossy and shiny Jet Black iPhone 7 or iPhone 7 Plus? Apple says it might scratch easily. Here are the details. Apple has delighted iPhone fans during its iPhone 7 event in San Francisco with the introduction of a new Jet Black and Black iPhone 7 models, but has immediately warned that the glossier Jet Black version of those two is more susceptible to scratching than other models. Apple’s new matte Black model iPhone is very similar to the previously available Space Gray model, meaning it’s the Jet Black version that’s garnering the most attention as the new kid on the block, but the Cupertino-based company has already warned how easy it is to scratch. Of course, Apple being Apple, the company isn’t just coming outright with the information and admitting that the device is anything less than revolutionary and perfect. There’s no denying that the Jet Black version does look striking and immediately stands out from the other models in other finishes, but it seems that Apple has taken the move of hiding away some information in the fine print of the technical specifications for the new model. Anyone who followed Apple’s event can attest to the rigid and extreme processes that the company goes through to actually manufacture the new iPhone, so that end it’s extremely good news to learn that the Jet Black version offers an equally durable outer case in line with the other models. With that said, it’s also extremely refreshing to see that Apple is at least advising consumers that the Jet Black model is likely to pick up and show micro-abrasions when used daily and put in and out of a pocket, for example. Consumers can purchase the device with this in mind and act accordingly on whether or not to wrap the device in a case. If you were planning on opting for Apple’s new Jet Black option for your new iPhone, does this information change that purchase decision? Day light robbery from Apple again with the new glossy jet black iPhone only been on 128gb and 256gb. So for the base model of the iPhone 7 in the new colour will set you back 699 quid. Absolutely taking us for a ride..!!! True. But come on you got to agree with me,They are killing this storage. Well over priced. I’ll be going with the matt black 32gb. And that as also went up 60 quid for 16 extra gb LOL. its all over for apple. the neckbeards will begin to realize it soon. polishing a turd and adding an extra camera won’t propel revenue through 2017. in the United States, a company which is not showing growth year after year is considered a dying company. Was Tim Cook holding a gun to your head as you typed that out? Apple has already lost it. It’s a major design flaw. Nothing much to upgrade though. Apple hardware enhancements are oxymoron. What’s the point of a nice finish if it’s covered with cases? Nobody will know I’m using the 7! I want to flaunt it! Show it off! Parade it! That’s the sole reason to owning an Apple product! Not anymore I guess. iOS is bad, bad, VERY BAD today. I used iOS more than 5 years and after switching to Android I can say – Anrdoid much better. Try Xiaomi with MIUI firmware and compare. My Redmi 2 with price 100$ have the same functionality as iPhone 6 with price 1000$. Says the man who owns a jailbroken iPhone. You don’t make any sense..? Why would Tim Cook want me to say that in the first place..!! Any gloss black anything will scratch easy. Don’t think I’d buy it. With the amount of stockpiled cash in gold(which is more than some countries), they can run profitless for decades. Dying they are not. I’ve used a clear case and screen protector from Day One with all my iPhones, keeps them pristine and almost as new. So will it change my buying decision, not in the slightest. It’s on it’s way! I knew about it anyway as I do actually read the small print before purchasing.